Vegetables are some of the world’s most loved foods. They are frequently used in several dishes and they have a variety of tastes. Apart from being delicious and tasty, vegetables offer a wide range of nutrition that ensures good health. Maria Elia reveals her culinary secrets in this best-seller cookbook. Some of her best recipes include the vegetable Aubergine which is cooked over a gas flame and made into a curry. You can even grill it with miso to give it a Japanese taste or turn it into a Mediterranean salad. The book contains over 120 recipes that include Sassy Sides, Sensational Mains, Sofa Suppers and Stylish Starters. There are a number of mouth-watering recipes that are enough to fulfill your daily diet regimen. Created by Jamie Oliver, this book is a gem for vegetable loves. 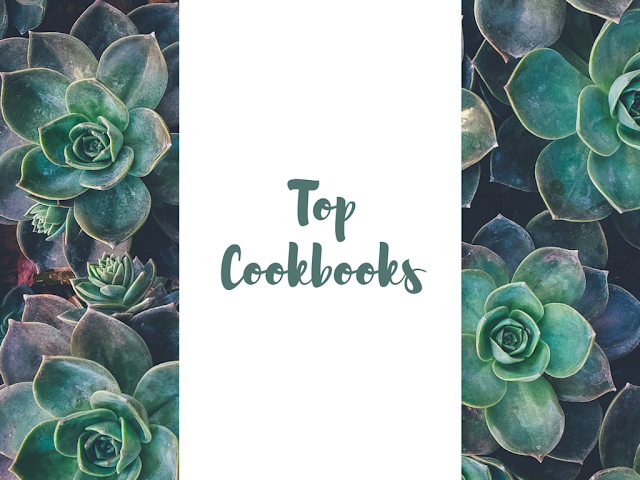 It includes a treasure of recipes you can try to create your favorite vegetable dish. It is the first ever book of the celebrity chef where he unfolds secrets to eating on a budget without lowering your culinary standards. As its name suggest, this book by America’s Test Kitchen has complete recipes for making any kind of vegetable meal. No matter if you want to make a salad dish or a bowl of vegetable soup, you will find every granular detail to help you prepare the meal. The book has over 250 vegan recipes. There are 500 recipes for preparing gluten-free meals, while there are 300 recipes for preparing fast foods. The book has many pictures that make it even interesting for the readers. A fine book by a prolific food writer, Clotilde Dusoulier describes in this book the various recipes for making vegetable meals. With such illustrious profile in veg culinary, it is surprising to know that Clotilde Dusoulier is not a vegetarian. However, it did not stop her to share with her fans the many varieties of vegetable delicacies. In this cookbook, she unfolds the secrets relating to French cuisine and vegetables. From picking the right seasoning to choosing the perfect flavor, she makes sure that everything falls into place for your vegetable meal. This book reveals to you one of the world’s finest chefs and how they make mouthwatering vegetable meals. The recipes that are featured in the book only include vegetable foods, such as like grains, fruits, nuts, and seeds to name a few. There are also recipes for herbs, spices, and other seasonings that enhance the flavor of a dish. Susie Middleton unlocks the treasure of vegetable cuisine in this cookbook. In this illustrious book, you will find the 75 different recipes along with different techniques and strategies. This book covers every range of vegetable culinary, whether it is something as simple as a salad or as intricate as a pizza. The book contains captivating photographs of foods that will tantalize your imagination. With his Mediterranean background and innate love for vegan foods, Yotam has put together an amazing collection of fresh vegetable foods you can ever have. Yotad draws inspiration from the culinary culture of the Great London while compiling all the recipes mentioned in the book. The author mentions over 120 fantastic recipes that will entice your taste buds. He also includes some recipes that will also complement the taste of meat lovers which makes this cookbook definitely worth a read. For all the staunch veggies, Hugh Fearnley-Whittingstall brings a list of over 200 delectable recipes that will leave you feeling hungry. Among the tasty dishes on the menu include winter giant couscous salad, radishes with salt and butter, a warm salad of grilled courgettes, lemon, garlic, and mozzarella to name a few. So you will end up getting the most wonderful vegan dishes for your daily diet regimen. The book contains plenty of sizzling photographs of the dishes that will captivate your eyes. Jasmine Demeester is a food blogger who loves writing about foods, nutrition, world cuisines, and regional delicacies. Moreover, she is part of the popular dissertation writing service which assists students in academic writing tasks. She also posses excellent culinary skills and keeps sharing the recipes of delicious dishes on her blog.